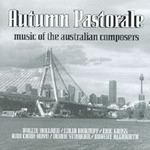 Autumn pastorale : music of Australian composers. Concerto for bassoon and orchestra : piano reduction / by Colin Brumby. Concerto for bassoon and orchestra / by Colin Brumby. Best of Colin Brumby / [also] including [works by] Dulcie Holland, Eric Gross, Robert Allworth.